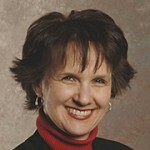 Sandra Baker, EdD, RDN, LDN is an Assistant Professor in the Department of Behavioral Health and Nutrition. She teaching courses in nutrition counseling, education and lifespan nutrition as well as the introduction to the profession course. Dr. Baker is the 2016-2017 recipient of the College of Health Sciences Excellence in Teaching Award. She advises students in the Nutrition Minor and is Co-Faculty Adviser for the Nutrition and Disabilities Registered Student Organization. Her research focuses on undergraduate students’ nutrition education and peer education. She has training in qualitative research methods. She completed her undergraduate degree from Penn State University, her Dietetic Internship from Brigham and Women’s Hospital, Boston Massachusetts and MEd and EdD from the University of Delaware. Dr. Baker is an active member of the Academy of Nutrition and Dietetics and the Society of Nutrition Education and Behavior. Grimes, M., Fanelli-Kuczmarski, M., Bodt, B., Baker, S., Fang, C., Zonderman, A., & Evans, M. (2018). Breakfast habits and diet quality in economically diverse African American and Whites. Topics in Clinical Nutrition, 3(33), 237-246. Jerome, D., Baker, S., & Fang, C. S. (2018). Peer Teaching Promotes Improved Knowledge and Attitudes about MyPlate and SuperTracker among College Students and Increases Self-Efficacy in Peer Nutrition Educators. Creative Education, 9(86), 979-992. Baker, S., Trabulsi, J., Evans, T., & Smith, E. (2018). Improving nutrition students’ knowledge and perceived competence to provide nutrition education to adults with disabilities via experiential learning. Journal of the Academy of Nutrition and Dietetics, 118(1), 23-29. Cowperthwait, A., Saylor, J., Carlsen, A., Schmitt, L. A., Salam, T., Melby, M. K., & Baker, S. D. (2015). Healthcare theatre and simulation: Maximizing interprofessional partnerships. Clinical Simulation in Nursing, 11(9), 411-420. Grimes, M, Baker, S.D., & Fanelli-Kuczmarski, M. (2014) Peer mentoring contributes to career growth of undergraduate nutrition and dietetics students. Creative Education, 5(14), 1286-1295. Masullo, L., Papas, M. A., Cotugna, N., Baker, S., Mahoney, L., & Trabulsi, J. (2014). Complementary and alternative medicine use and nutrient intake among individuals with multiple sclerosis in the United States. Journal of Community Health, 40(1), 153-160. Baker, S. D., & Cotugna, N. (2013). Students entering internship show readiness in the nutrition care process. Journal of Human Nutrition and Dietetics, 26(5), 512-518. Robson, S, DeLuccia, R., Baker, S., Trabulsi, J., Bodt, B., Real-time Decision Making of WIC Participants at the Grocery Store: Use of Think Aloud Methodology. Annual Meeting and Scientific Sessions of the Society of Behavioral Medicine, New Orleans, LA, Presented by Dr. Robson, April 2018. Baker, S., Fang, C., Jerome, D. Undergraduates have Favorable Views towards MyPlate and SuperTracker after Peer Teaching by Nutrition Majors. Food Nutrition Conference Expo (FNCE), Academy of Nutrition and Dietetics National Conference, Chicago, IL, October 23, 2017. Fraczkowski, A., Tsugranes, M., Fang, C. R., Baker, S. Undergraduate Nutrition Students Gain Knowledge and Skills by Leading Grocery Tours. Society of Nutrition Education and Behavior National Conference, Washington, D.C., July 22, 2017. Grimes, M., Baker, S, Fanelli-Kuczmarski, M., Peer Mentoring: an Essential Component of Training Future Nutrition Professionals. 2014 Mentoring Conference, Mentoring Institute, Albuquerque, New Mexico, October 23, 2014. Baker, S. Suggestions for Teaching MyPlate and its Website in University Nutrition Courses. Food Nutrition Conference Expo (FNCE), Academy of Nutrition and Dietetics National Conference, Atlanta, Georgia, October 21, 2014. Baker, S., Cowperthwait, A. Nutrition Students Gain Real-World Experience in an Interdisciplinary Simulation. Food Nutrition Conference Expo (FNCE), Academy of Nutrition and Dietetics National Conference, Atlanta, Georgia, October 20, 2014. Bakers, S. College Students’ Perceptions of MyPlate and ChooseMyPlate.gov. Food Nutrition Conference Expo (FNCE), Academy of Nutrition and Dietetics National Conference, Houston, Texas, October 22, 2013. Caring for Children with Special Health Care Needs: A Focus on Nutrition and Feeding. Career Services Center Faculty and Staff Career Innovation Grant (role: co-PI with Dr. Trabulsi). 2018-2019. Learning about World Cultures through Food. Unidel funded (role: co-PI with Dr. Setiloane). Complete. Real-time Decision Making of WIC Participants while Food Shopping: Use of Think Aloud Methodology. Delaware Department of Social Services funded (role: develop and implement method for thematic analysis, PI: Dr. Robson). Complete.